One of the most culturally vibrant and richest cities in the world must necessarily have some of the greatest museums of the planet. 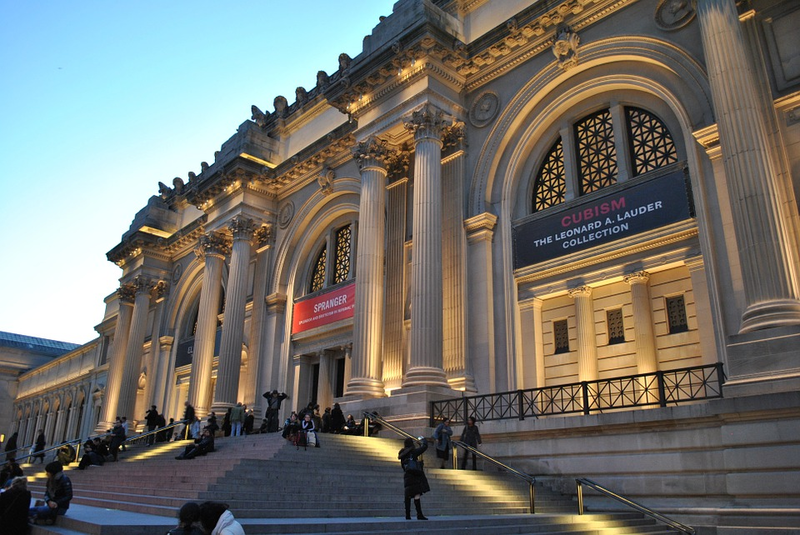 See below three museums you simply cannot miss when planning your next trip to New York. Also known as «The Met», the well-known Metropolitan Museum of Art in New York was founded in 1872, and it is the largest museum in the USA. Its halls and galleries host over two million works distributed among permanent and temporary collections. It covers the five continents, and it is constantly renewed and updated. In 2012 some of its closed halls were finally reopened. Europe, Asia, Africa and the Near East are all represented in permanent collections throughout the year. Some of its iconic art pieces include «The Great Wave Off Kanagawa» by Hokusai the impressive «Temple of Dendur» built around 15 BC., shipped stone by stone from Egypt to save it from the flood waters created originally by the Aswan Dam. It also includes some of the works of great European painters like Caravaggio, Vermeer, Rembrandt, Van Gogh, Renoir, Gauguin, Monet, Cézanne, Velázquez and other. Here we have a museum inside a building, and a building which is a museum. 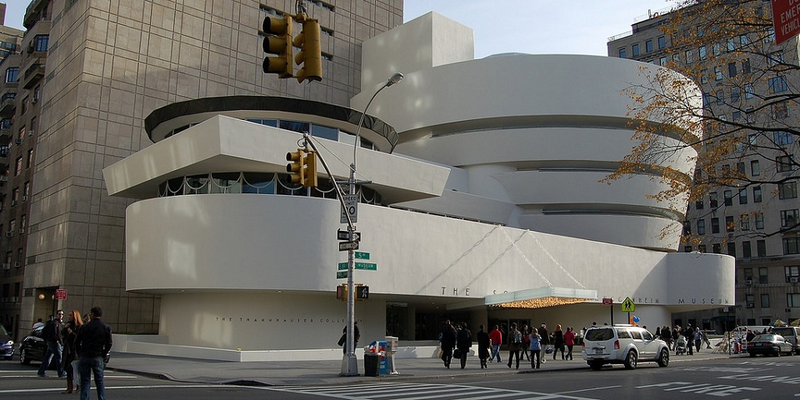 Located in the vast area of Upper East Side neighborhood of Manhattan, the Guggenheim Museum is as famous for its Frank Lloyd Wright building as it is for the modern art pieces it displays. Founded in 1939 as a collection of abstract artworks belonging to the personal collection of its founder, Solomon R. Guggenheim who was a great abstract and contemporary art collector. He was interested mainly in European and North American painters, giving the museum the chance to become an art piece in itself, conceived as an upward spiral with a large central space crowned by a skylight. In 1992 it underwent a controversial extension leading to the construction of an additional tower in 2005 – 2008. Kandinsky, Marc Chagall, Modigliani, Paul Klee or Theo van Doesburg are some of the must-see artists exhibited in the museum.
. It is a private foundation, and it stands out from other museums because of its readiness to exhibit artworks considered too avant-garde or innovative by more academic and Orthodox galleries. 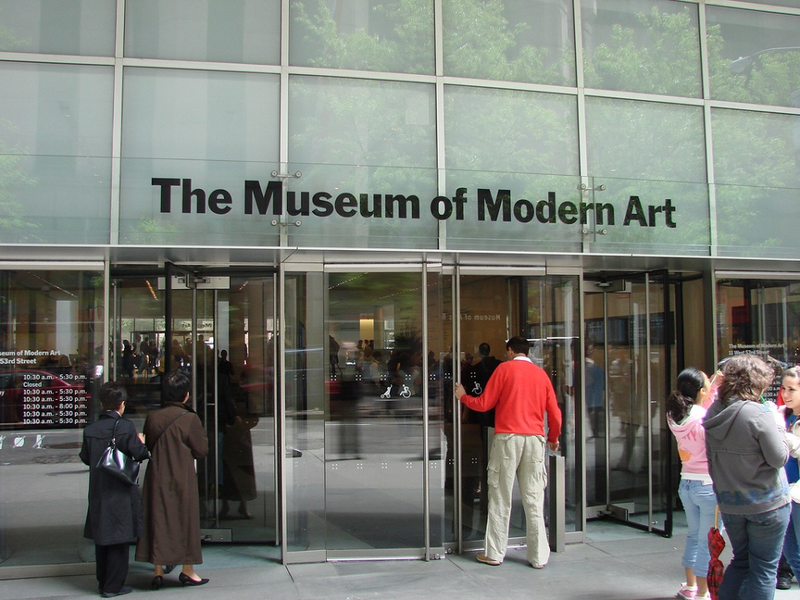 Thus, it became a pioneering museum for modern trends, such as cubism or abstract art back then, and it remains today an important influence in decision-making regarding contemporary art, setting the tone for other great museums. Here you can see works of great artists including Pablo Picasso, Marc Chagall, Vasily Kandinsky, Mondrian, Henri Matisse, Auguste Rodin, Alexander Calder, Louise Nevelson, Pablo Serrano and Aristide Maillol, as well as film, design, photography or architectural works.